The Flextool business is backed with service and maintenance support and a national distribution network. Enter your postcode or suburb below to find your nearest Flextool stockist. 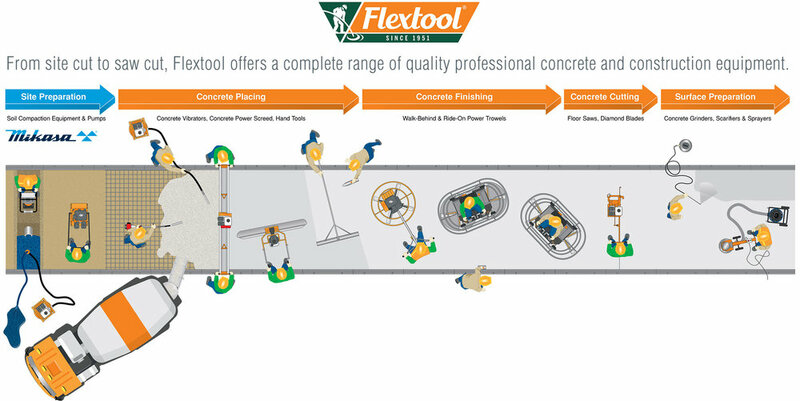 Options are available to filter for local Flextool Distributors, Flextool Service and Repair Agents, or, if you prefer, local options for Hire and Rental of Flextool concrete and construction equipment.